Silence was a third passenger in the vehicle. 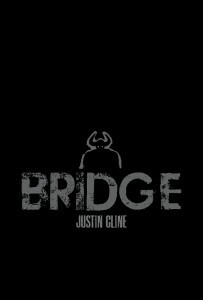 Despite the fact that Bridge had kept his eyes averted from Spade’s actions—even through the unmistakable sound of rending flesh—, there was no overlooking the aftermath. The distance he had originally felt while looking out the van’s window had all but disappeared. He had become very present. Even more so as the cat climbed past him back into the passenger seat and the two of them left the scene of the crime. Minutes later and a mile away, he was thinking that the police had surely arrived by now to find four men lying in the street. One with a destroyed leg, one with half a face, one minus his internal organs, and one who’d been boned like a fish. If there were a commonality among them—beyond the fact that they were all injured—, it would have to be that they were also all of them decapitated. “It had to be done,” Spade repeated. Logical responses to this statement ranged from “I know”—Bridge had already pieced together the notion that otherwise they were taking a chance they might one day face off against an entire army of undead assassins—to “I’m having a hard time processing all of this death,” which if nothing else would have given the cat a laugh. “The guy with the….” In lieu of defining a word with the word itself, Bridge gestured with his hand, holding his palm away from his own brow to mimic the dead man’s supraorbital ridge. No doubt the oversized growth of bone had come in handy whenever the owner had encountered a particularly steadfast walnut. “I see,” Spade said. “Myself, I don’t normally take the time to give my attackers pet names. Especially when they attempt to score a field goal with me.” The cat rolled his eyes and began to look out the window, but Bridge grabbed hold of him and pulled his attention back inside the van. “Make no mistake, we are going to talk about the shadow.” Before the cat could confirm or deny this, Bridge added, “Just not now.” He reached into his coat and withdrew a handful of something. “We need to find the rook before he… whatever. And here’s how we’re going to do it.” He slammed two severed fingers on the dashboard and then sat back in his seat, arms crossed. “Wait for it.” Given the way the digits had reacted back in his office, Bridge felt assured that they would lead the way back to their owner. If so, all he had to do was follow. He was on the verge of thinking his idea was a failure when one of the fingers twitched. Then it stretched, as if waking up from an overlong nap. Rearing up—not unlike a cobra ready to strike—, it tapped at its brother, and now both of Rook’s trigger fingers were active. In tandem, they began to crawl to their right. Bridge shifted into gear and pulled back out into traffic, travelling in the direction the fingers pointed. Before they could go too far, he corralled them and returned them to their starting points, setting them free once again to lead the way. Spade cleared his throat like some ancient orator behind a podium, preparing to deliver a speech. More than anything, it came off as a tactic, a means of delaying the inevitable truth. Whatever the case, it was clear that the cat knew more than he was letting on. However, by the time he opened his mouth, it was too late for talking. “Hold that thought,” Bridge said, running his right hand over the steering column until he found what he was looking for. Engaging the van’s cruise control, he got up from his seat and moved into the back. 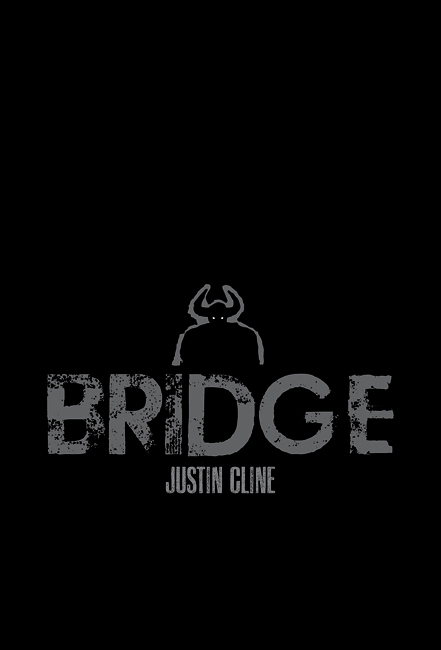 It was a rare occasion when Bridge was capable of surprising Spade, but the cat was clearly taken aback by the man’s actions, his head jockeying back and forth between where Bridge was and where he should have been. When the vehicle started to veer off to the left and into oncoming traffic, it became clear that the cat was going to have to step up and be the responsible party here. He leapt into the driver’s seat and maneuvered his paws into ten and two positions on the steering wheel, claws sinking deep into the rubber grip. By way of an answer, Bridge said, “You’re doing fine. Keep it straight. Come up on the right. Try not to hit anybody.” At the sound of the roll door on the van opening, the cat let out a tiny yelp as if he thought Bridge might be jumping clear of the wreckage that was to come. As he was turning back to face forward, he saw something coming up fast ahead of him, someone running down the middle of the road like a madman. Swerving at the last possible minute, Spade missed him. But Bridge didn’t. Amidst a handful of grunts, Bridge muttered, “Get in here,” as he wrangled the dead man through the door via a makeshift clothesline and deposited him onto the floor of the van. After closing the door, he allowed Spade to dive out of the driver’s seat and resumed the controls. Clicking off the cruise control, he evened out their course and eyeballed the cat, who was far from being over the experience, shoulders hunched and rocking to and fro. Rather than ask for his assistance, Bridge punched the release on the glove compartment and pawed through the contents until he found what he needed. Chapter 19 available on Wednesday, April 25th! This entry was posted on Wednesday, April 18th, 2012 at 12:01 am	and is filed under Uncategorized. You can follow any responses to this entry through the RSS 2.0 feed. You can skip to the end and leave a response. Pinging is currently not allowed. « Walt Disney Studios To Release More Than 30 Iconic Films For The First Time Ever On Blu-ray In 2012! !